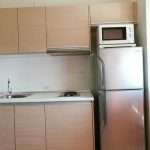 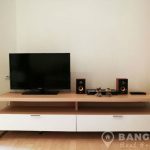 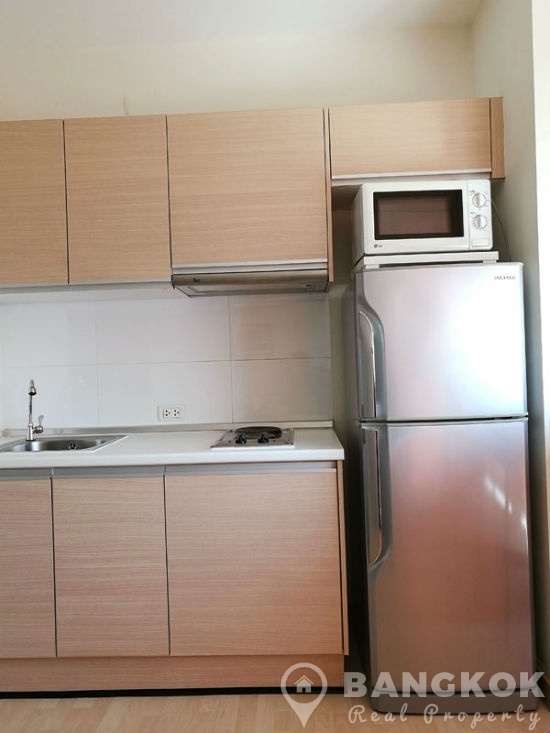 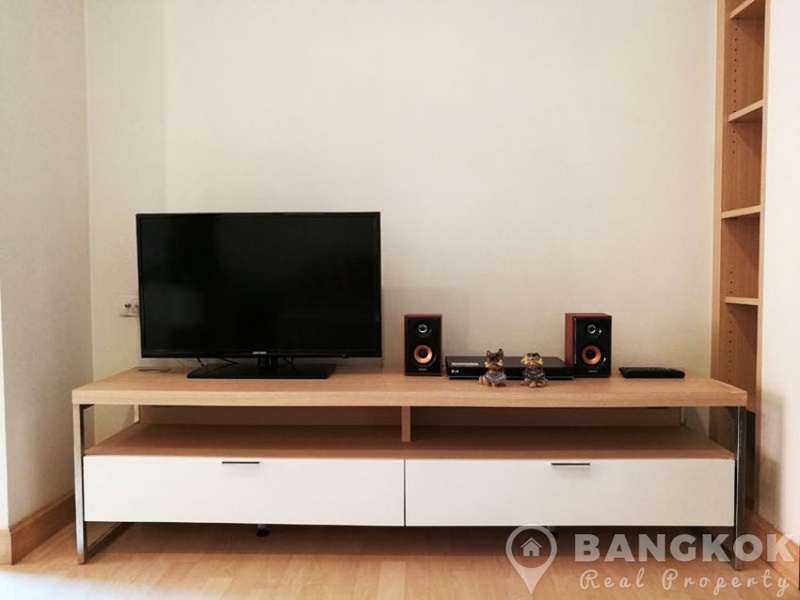 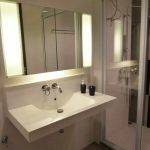 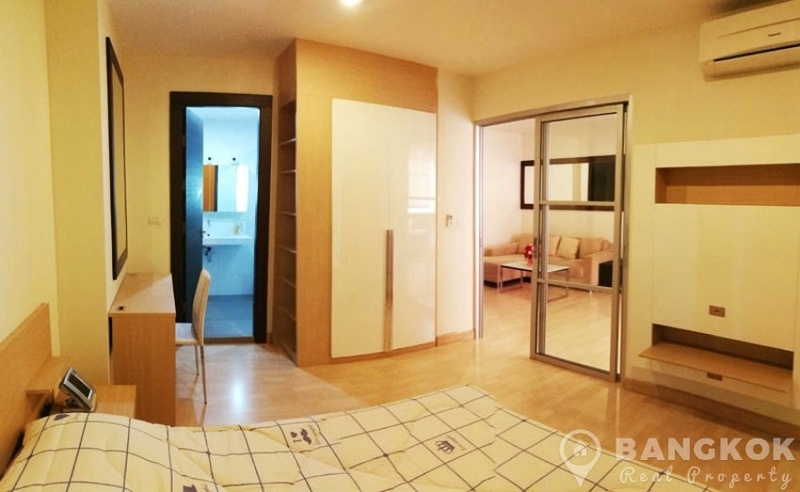 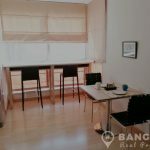 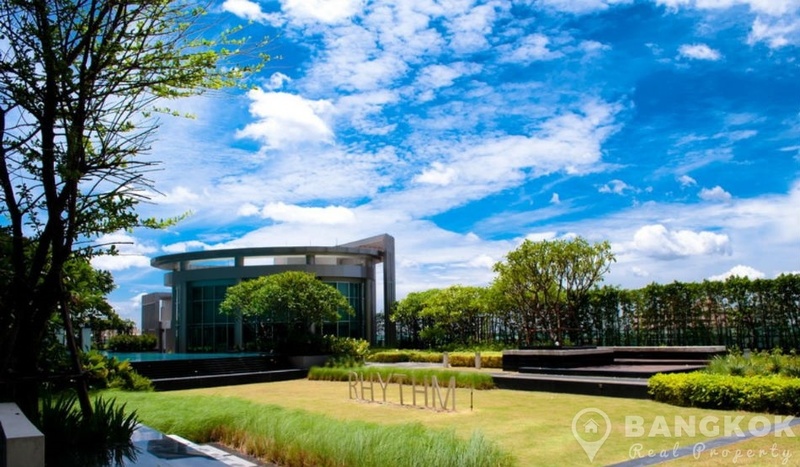 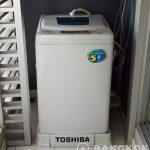 A superb, spacious, modern 1 bedroom condo is now available to rent at Rhythm Ratchada conveniently located on Ratchadaphisek road just 5 minutes walk (410 metres) from Ratchadaphisek MRT station. 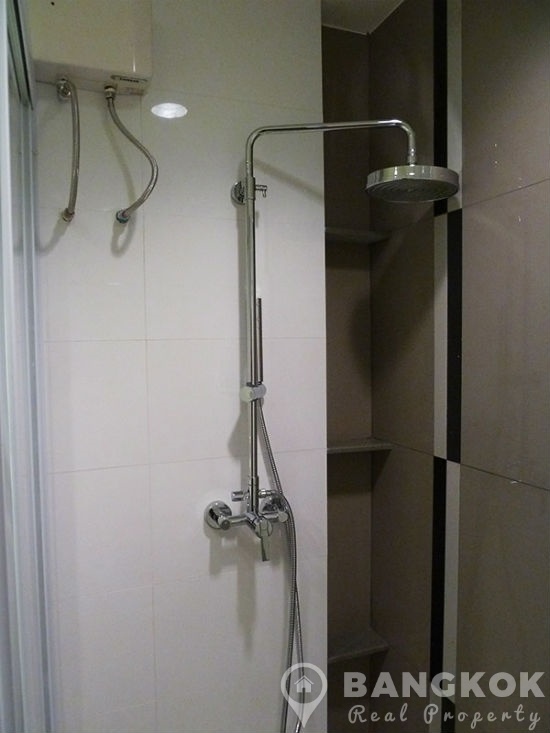 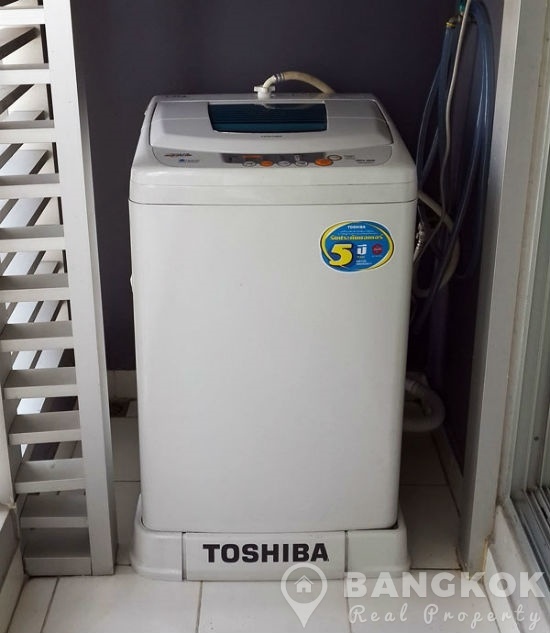 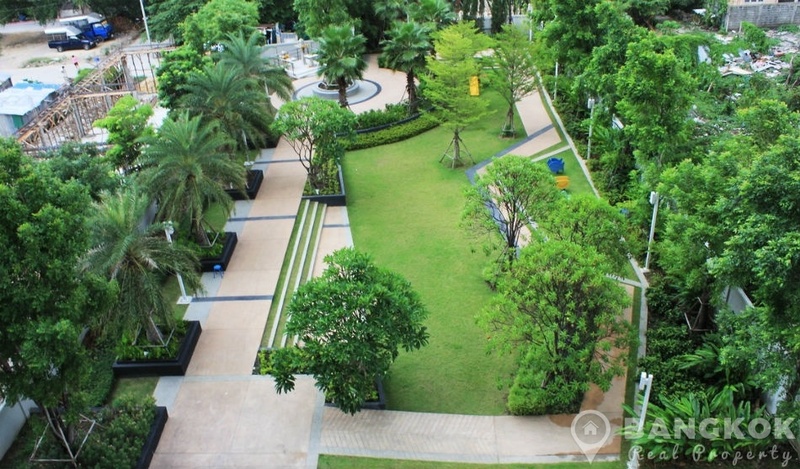 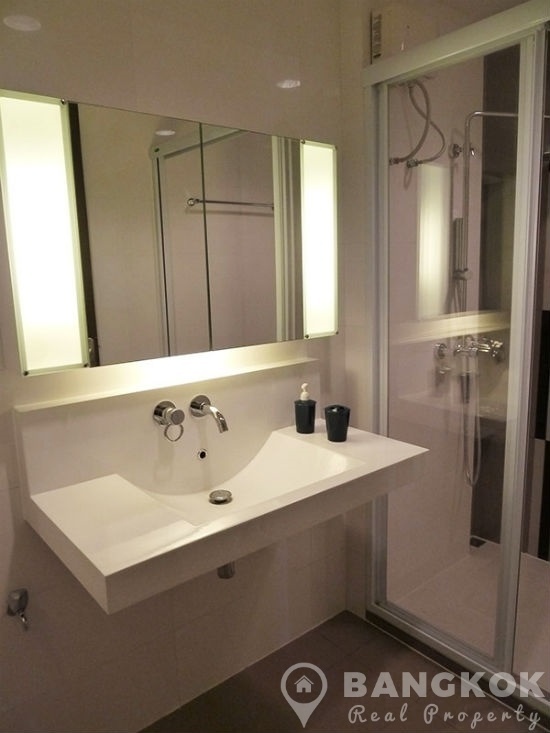 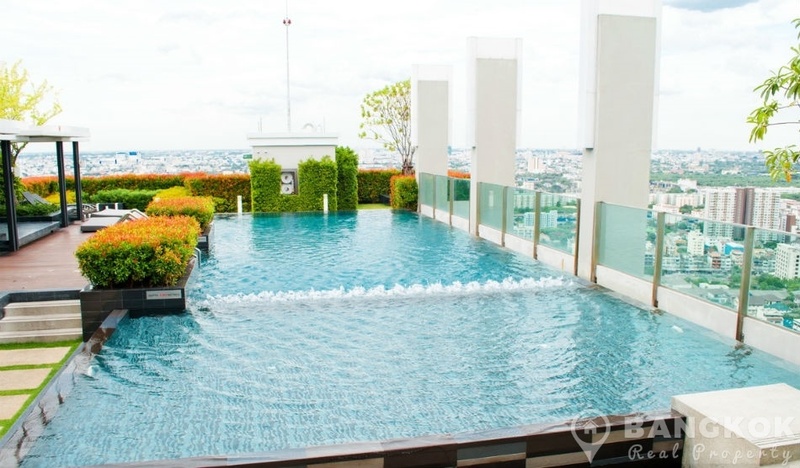 This high rise Bangkok condo built in 2011 by AP Thailand is close to many amenities including Central Plaza Grand Rama 9, Suan Lum Night Bazaar, Tops Market @ Union Mall, Paolo Memorial Hospital, Chatuchak Park and Saint John’s University. 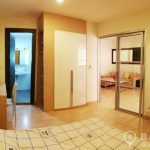 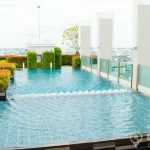 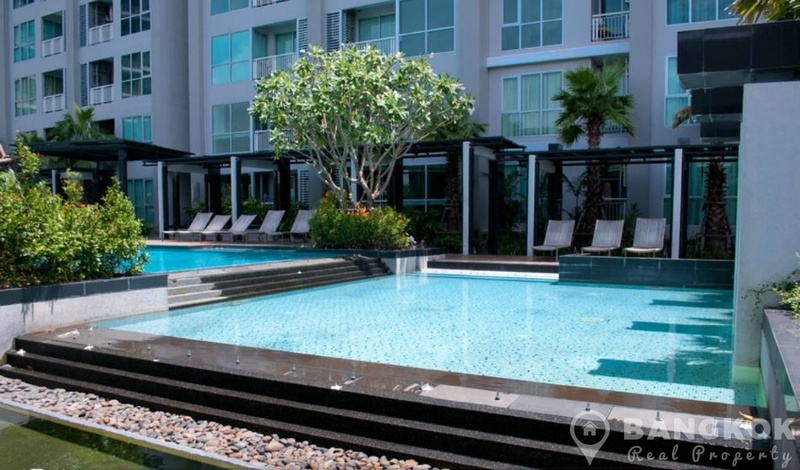 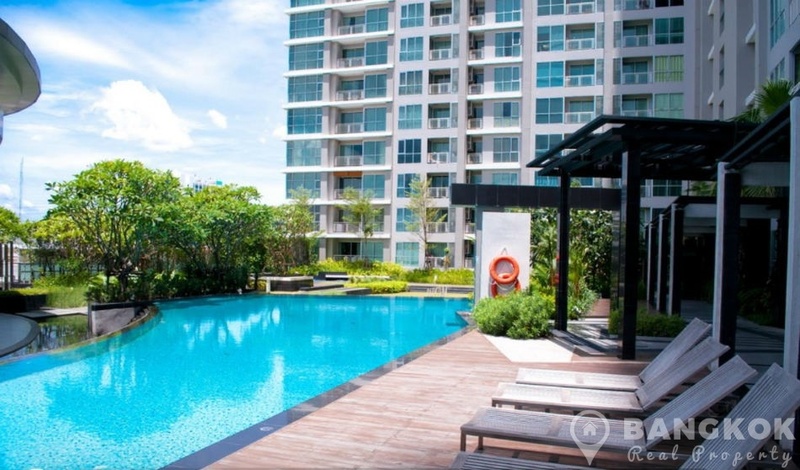 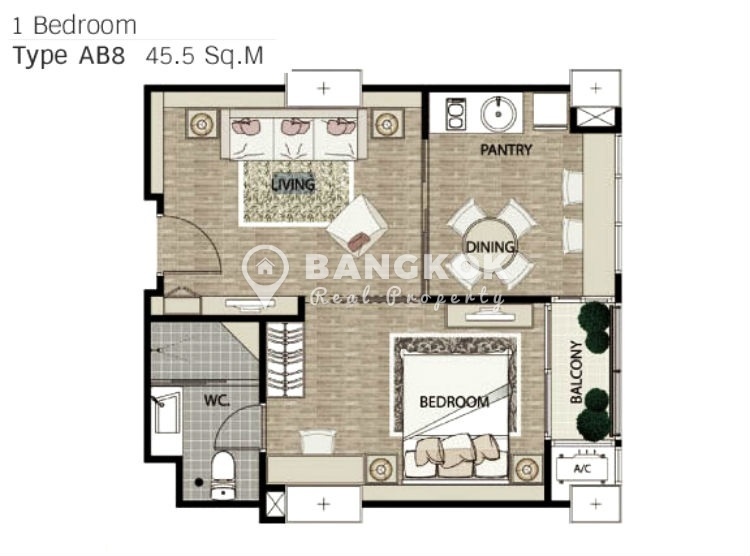 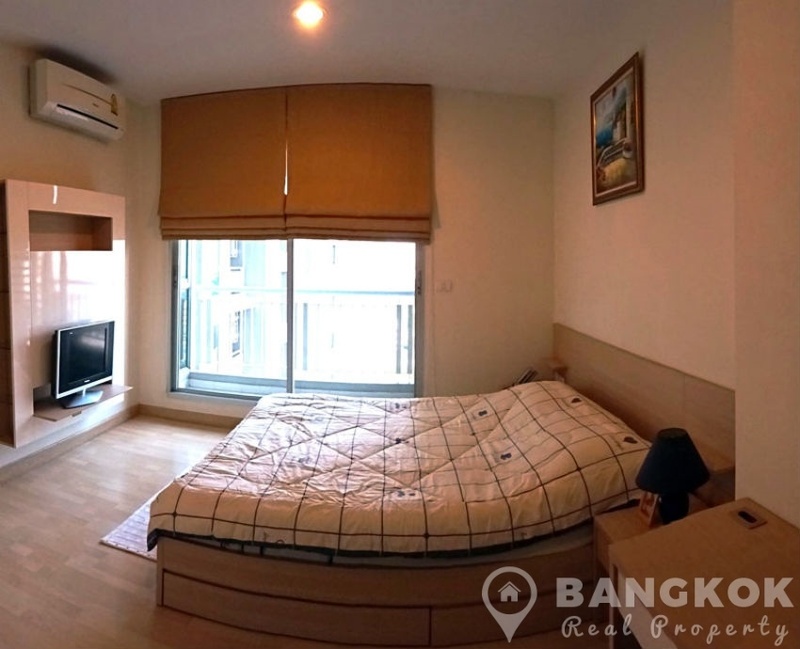 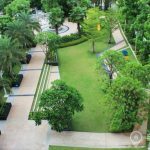 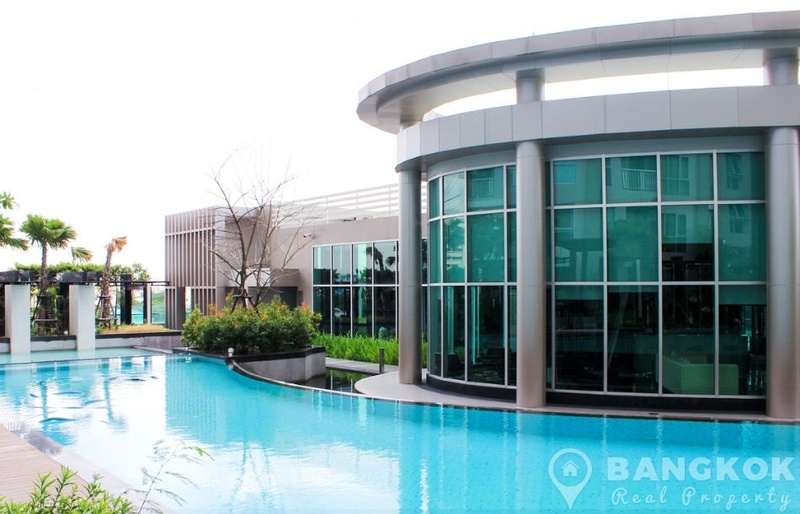 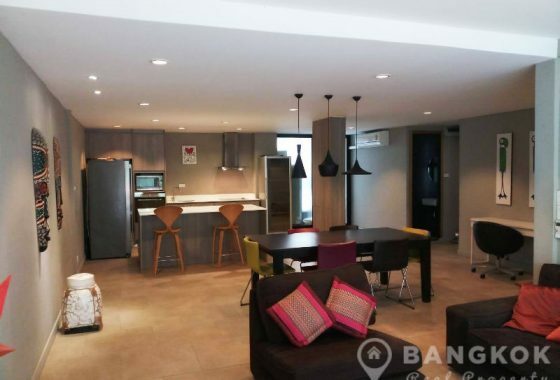 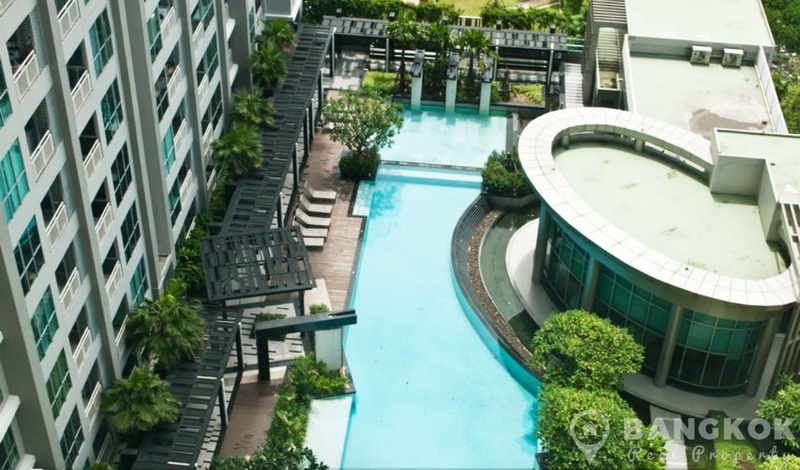 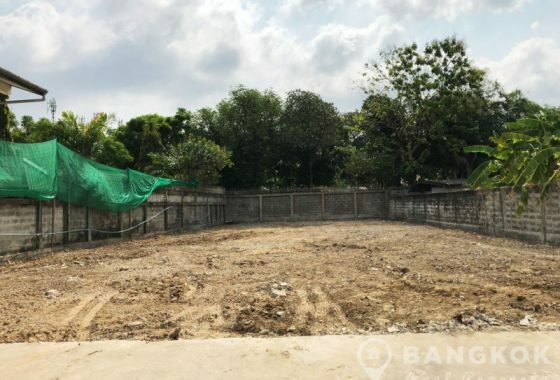 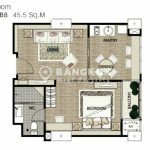 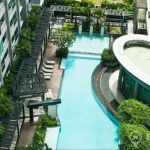 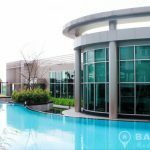 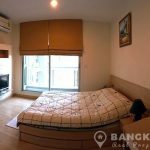 On a mid floor of Rhythm Ratchada this modern unit has 1 bedroom, 1 modern bathroom and 46 sq.m of living space with a balcony with views over one of the 2 swimming pools and main clubhouse. 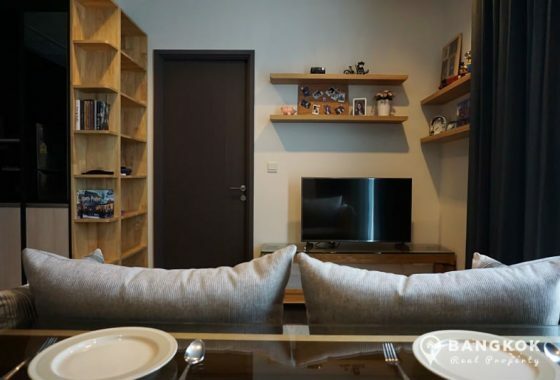 With wooden floors throughout, the open plan livingroom – kitchen has a large picture window, LCD TV, built in kitchen units with good storage, built in electric hob and extractor fan, microwave, fridge-freezer and washing machine (on the balcony). 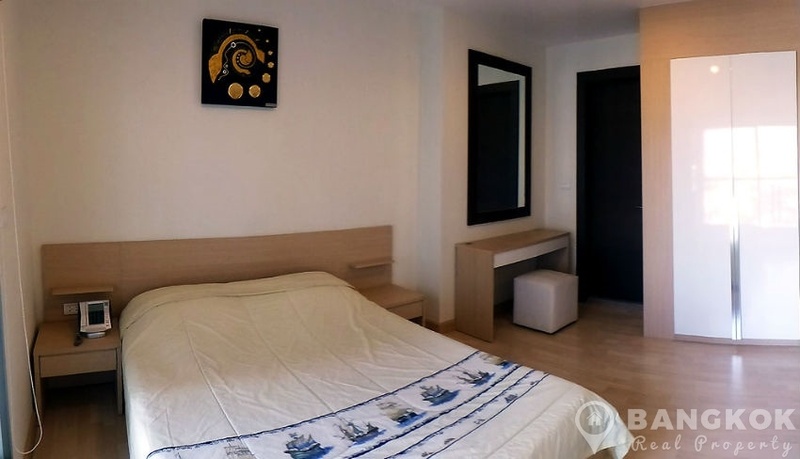 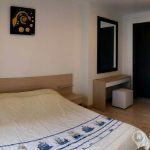 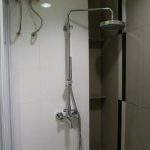 The double bedroom also has LCD TV,balcony, good wardrobe storage space and a modern bathroom with power “Rain Water” shower. 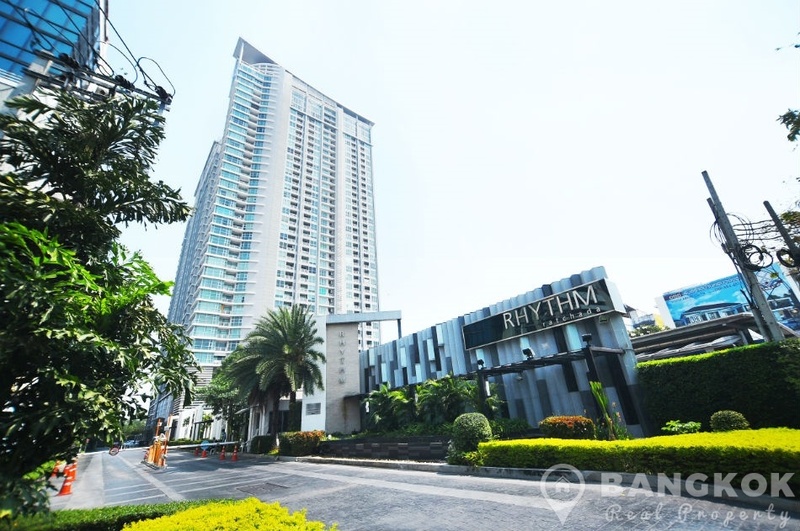 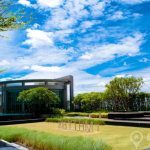 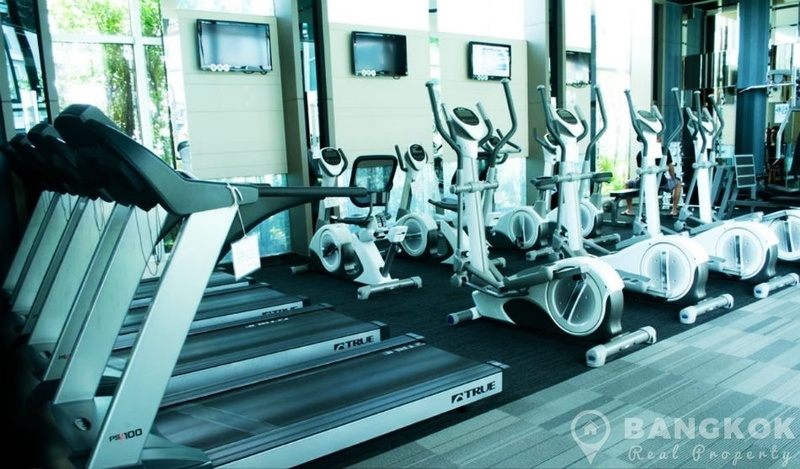 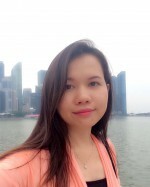 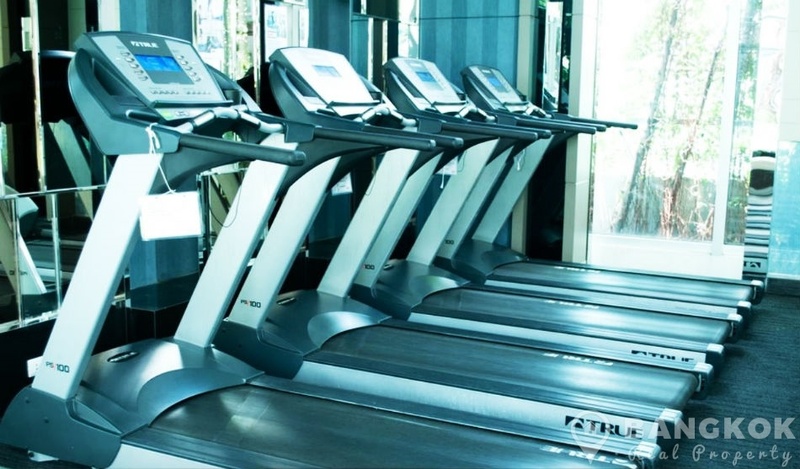 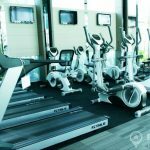 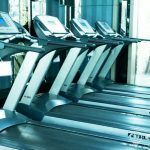 Rhythm Ratchada is a high rise condominium project, located on Ratchadaphisek Road and just 4 minutes walk from Ratchadaphisek MRT station. 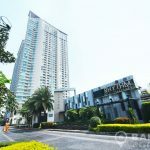 Rhythm Ratchada was completed in 2011 by AP Thailand and this project comprises of 2 buildings, with 32 and 37 floors and a total of 881 units, a mix of 1 and 2 bedroom units.